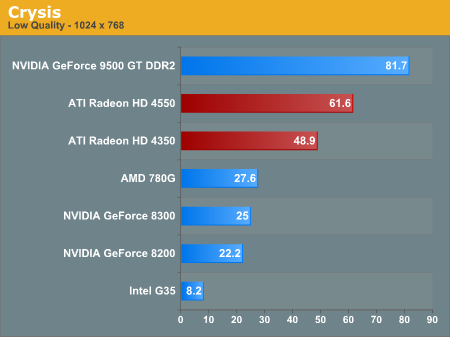 So you are testing 2 cards aimed mainly on HTPC market but all you do is GAME benchmarks ? I agree. The article calls them "Great HTPC Solutions" but how does the article apply to an HTPC? You run a few games with a ridiculously high end processor and motherboard but spend a page talking about 8 channel PCM output and that's how you call it a great HTPC solution? 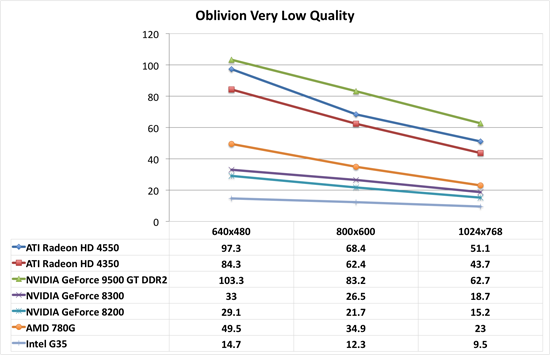 How about testing with a low speed processor and micro ATX motherboard more likely to be found in an HTPC? How about using those quieter, cooler components to run a CPU usage test so we can see how well the video decode works? 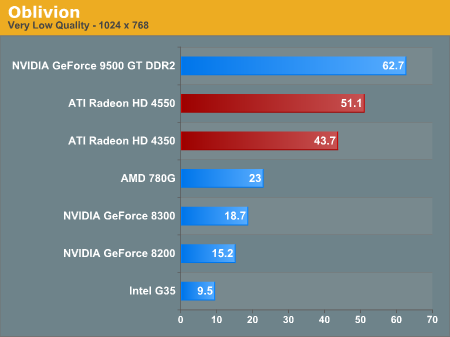 Why not test on a 780G motherboard and show us if hybrid crossfire works with the current drivers? 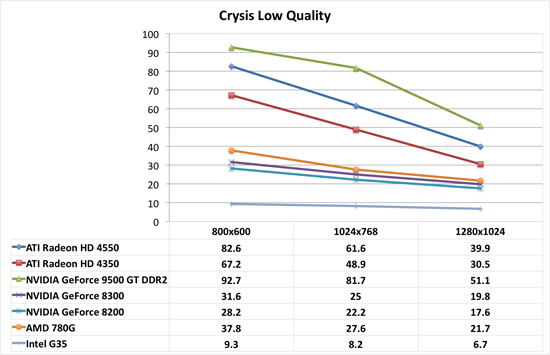 Why not compare the card's video decode capabilities against the current line of IGPs? If you have a motherboard with an IGP that can competently accelerate high definition video then the question becomes "is it worth the $40-$50 for one of these over your current card-less solution?" If someone is interested in one of these cards for an HTPC, how well it runs Crysis when paired with a quad core Core 2 Extreme is not a remotely important question. And now that I look at it again I wonder how you compared these cards to onboard video such as the 780G. Can either of these run in hybrid crossfire on a 780g or 790gx motherboard, or does only the 3450 work?